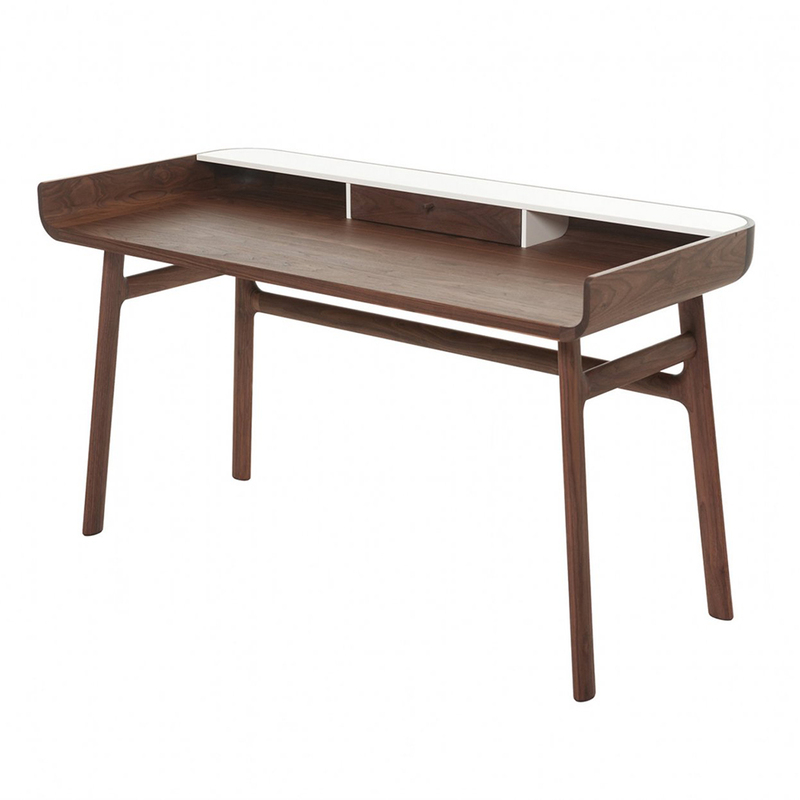 Crafted in solid hardwood with polished lacquer accents, the Harold Desk is a classic writing desk featuring a tabletop drawer and open storage spaces. 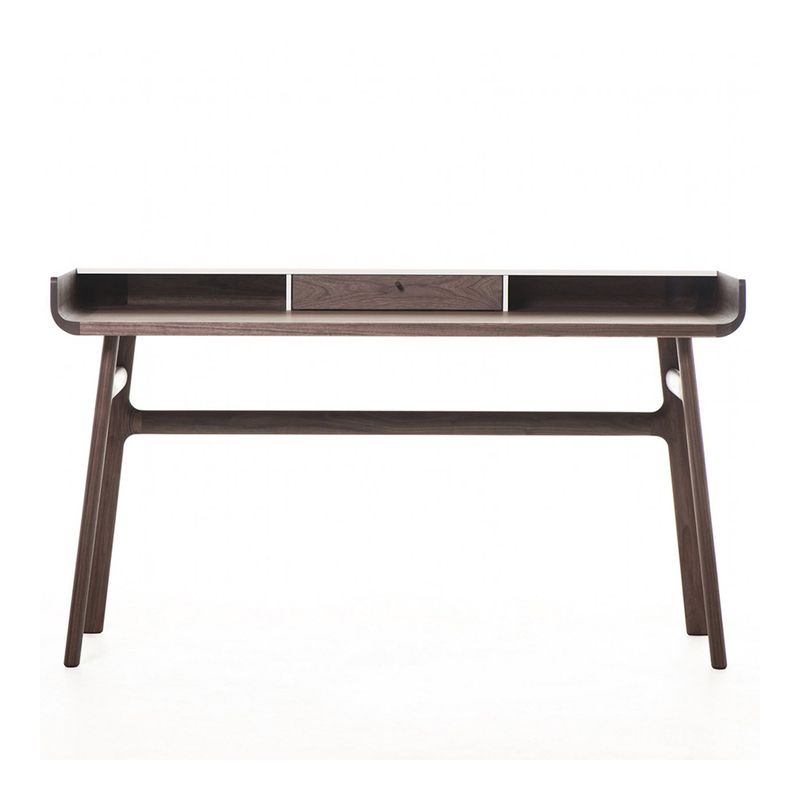 The upward curves at the sides of the tabletop are machined from generous planks of premium timber. 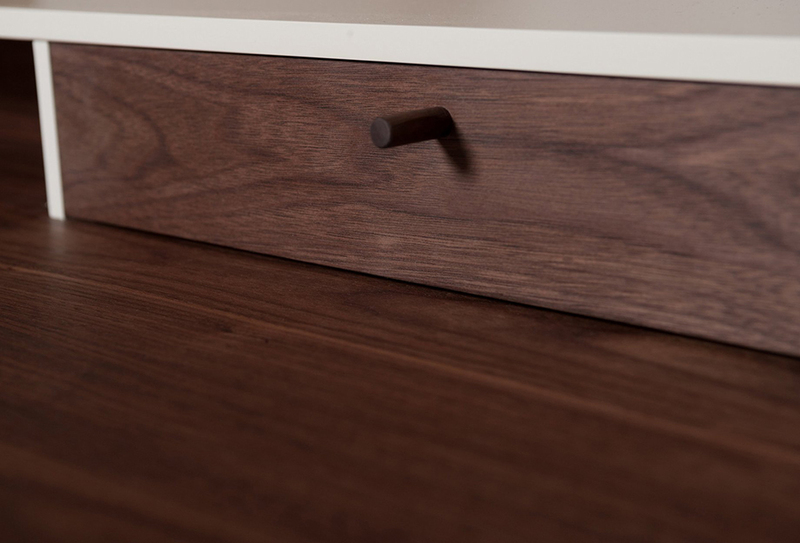 Slender H-frame legs joined with wedge tenons provide visual levity.